Due to a younger age with not as much life experience, children can often make mistakes. Some of their decisions are not as thought out as they should be. If parents are facing the reality that their child has committed a crime, they should explore their options. Consequences can range from a simple penalty to life-changing penalties based on the charge. Some children can even be tried as an adult in a trial if their crime is elevated. What makes a child considered to be a juvenile? When children are under the age of 18 when they commit a crime, they are considered juvenile. For serious offenses, such as murder and assault, a juvenile may be tried as an adult. With a charge as an adult, the consequences for the child can be even harsher. It could include prison time. For most juvenile cases, a family court will have jurisdiction over the case. Even if a juvenile turns 18 throughout the course of the trial, their age during the incident is the only relevant factor. By state law, juvenile cases heard in the family division of the Superior Court are sealed in a juvenile file, though that is not absolute. 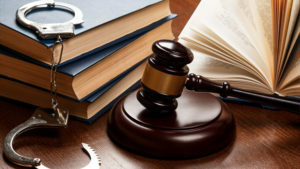 With a juvenile case, the Superior Court will send a notice to the family of the accused detailing the case, court procedures, and other relevant information that can help guardians with the process. Most juvenile cases go to the Superior Court and are evaluated. In some severe circumstances, a child may be waived up to an adult trial. Some simple juvenile cases are handled by the Juvenile Conference Committee. Other cases may be heard in the Superior Court Family Division. Some New Jersey counties will refer cases to a judicial referee, which is an attorney that sits in the position of a judge. Do juveniles need legal representation? In all juvenile cases, they must have representation that focuses on their best interests. As soon as the family gets a notice from Superior Court, they should contact an attorney. New Jersey requires all children to have representation. If a guardian can demonstrate that they cannot afford a private attorney, the state will provide a public defender. The guidelines are strict and courts need overwhelming evidence to support the claim. If either parent is employed, they will most likely not be able to qualify. Since juvenile cases proceed quickly, parents or guardians must act promptly to notices and directions from the court.